Sometime you face problems with unknown phone callers. They can be a little annoying for you if they are continuously ringing on your mobile. Now you might want to know the identity of that person in order to do that you will need free reverse phone number lookup service. This service is completely opposite to regular lookup in which you know the name of a person and want to find out his/her number. Free reverse number lookup service allows you to identity name and all the related details such as location of a person through their number. These services scan millions of database to find that exact number and its detail. You will found hundreds of such services on the web but not all of them provide real results. So to help you I have a collection of 5 best reverse phone lookup services. It's not a child's play to find out the exact detail of the number but most probably you will get your result. Below is a brief description of best hand picked free reverse phone lookup services. It is the most recommended website when it comes to find out the detail of an unknown number. White pages a completely free service and available on web and app both. It was founded in 1997 by Alex Algard with a single vision: to help people find, be found and connect. They have a large collection of registered numbers with their identity and address locations. They claim that they have listing of more than 200 million adults across the USA. White pages includes a reverse lookup service alongside reverse address lookup, as well as the option to perform a regular search by name. Just go to their website add your number and click on search. That's it. You will get your result. You can also try yellow pages website. 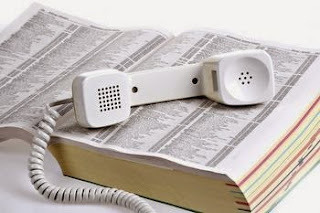 It's specially for those people who wants to find out details of a telephone number. Their free phone lookup can help you to find out actually who is trying to call you. It offers no added services such as regular lookup, reverse address searches. It can be a little difficult task for ReversePhoneLookup to find out cell phones details but when it comes to find the details of telephone numbers they provide quality results. When a match is found, you will be able to see the first and last name of the owner, where the number was registered, the address of the owner, a map of their location and much more. This is another great free phone locater service available online. It provides services similar to white pages. You can easily search cell phones and landline numbers detail. It allows user to enter a phone number and immediately lookup to whom it is registered. You will get caller name, it's location on the map and much more information. This tool uses yellow pages. Pipl.com works in a little different manner from other sites. Almost all the reverse phone lookup website such as white pages, yellow pages have their own directory of registered phone numbers while pipl uses search engine results to find out the information related to a number. It also provides you some more option to enter in the enter in the search field such as name, email id, user name or phone number. It can be a very simple process but some time it can also provide you some quality and real results. Last but not the least free web and application reverse lookup service. It's completely free to use but you can use it to find out the detail of only mobile numbers. You can join their community and then find out detail by country. It's available both on web as well as mobile platform such as Android, Windows, iOS and Blackberry. They have a collection of over 1.6 Billion phone numbers worldwide. So this was all about best free reverse mobile phone number lookup service. All the listed services are free to use but remember only listed number will show up with detail. If you have any query then feel free to leave a comment below in the comment section. There are many options to consider when we talk about reverse lookup services. These mentioned services are certainly amount the best we have these days. Thanks for sharing with us! Thanks for sharing you insights about some of the best phone number lookup services. I really believe that we need to be aware of these companies to help us deal with unknown callers faster. These are great options to consider, but I believe that it is important to determine the exact functions of a reverse phone lookup before making a decision to hire an expert service. White Pages is actually "White Pages Premium". You get 5 free days then you get charged $29.95 per month, so in reality it's really not FREE.